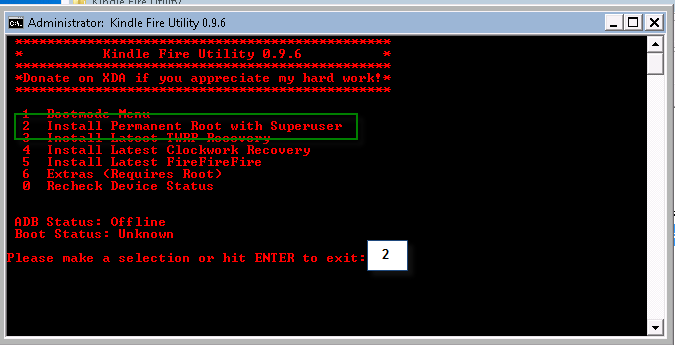 The term “rooting” in the technology world is defined as hacking the device so you could get superuser access or “root” access to the device :). Sometime companies prevent this to happen by creating updated firmware to block these actions. I was in my office when the Marketing Administrator came by and showed me his kindle fire and asked if I could root it and install CM9. I was like 🙂 [Awesome & Challenge]. I was excited because I never rooted a Kindle before but confident in making this happen for him. I did some research and everything was scattered every where on the web, so I’ve decided to create this blog with everything I’ve done to get the device rooted and install CM9 on it. Android SDK from the Android Developer site. Step 1: I really didn’t do this step, but if you search online it’s the first thing you have to do. I guess everything worked because it was already set up. You need to have “Allow Installation of Application” to be set to On. On the Kindle Fire tap the top bar, near the battery and Wi-Fi icons and press More… from the drop-down menu. Choose Device and tap “Allow Installation of Applications” to be set on On. 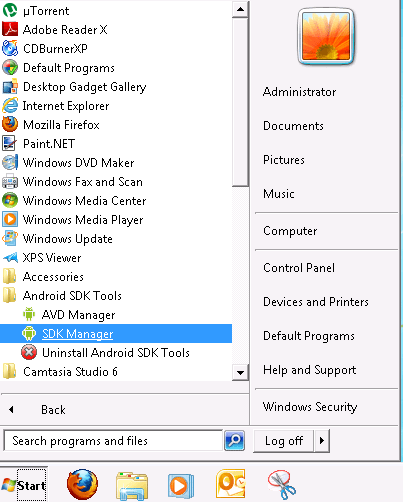 Step 2: Open the Android SDK manager. Once this is open it will automatically open with a list of software packages you can download. 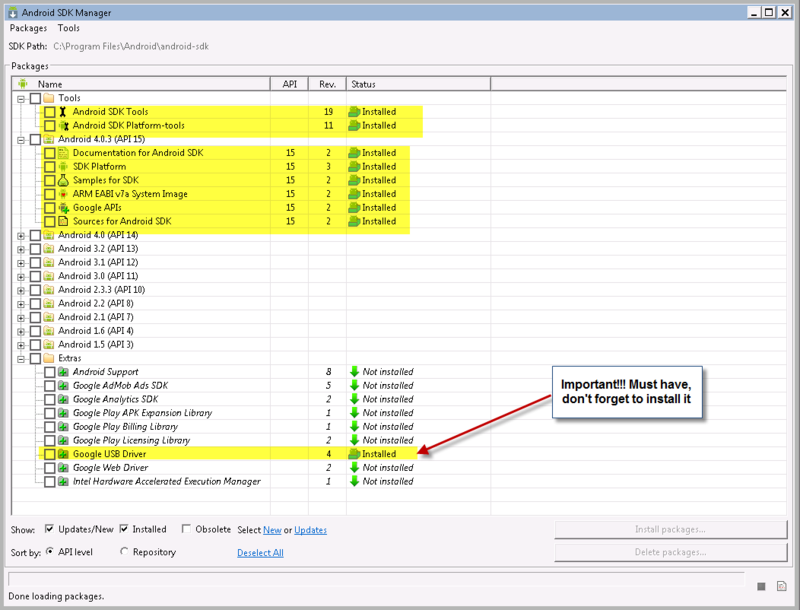 Go ahead and install all the pre-checked packages [they are highlighted on the pic below], but make sure that the Google USB Driver package is checked. You will need this so the Kindle Fire device could communicate with the PC. Step 3: Once the packages are installed you have to do two modifications before you could root the Kindle Fire. You will be tweaking a *.ini & *.inf file so make sure you are an administrator on your machine. Step 3a: The first file is the adb_usb.ini, which is located on the user account you are logged into, so for example: C:\Users\Administrator\.android. 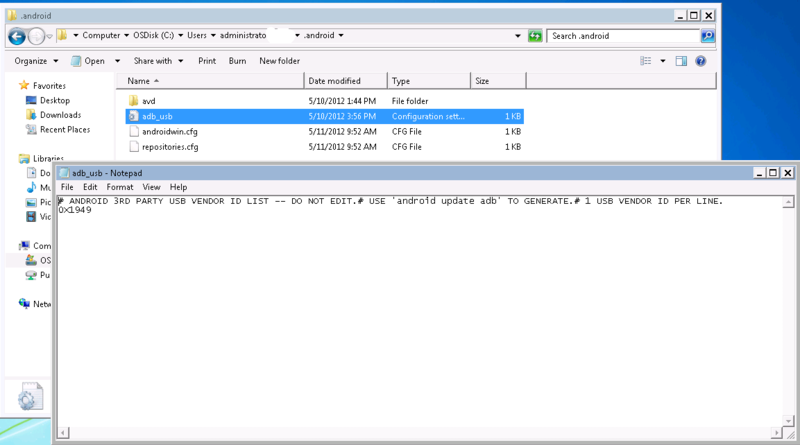 Within this .android directory you will find the file named “adb_usb.ini”. Open it up in Notepad and add a new line at the bottom of the document and type 0x1949. Make sure that the string is on its own line is the document, save it, and close it. Once you copy and paste those lines into the *.inf file, save the file and close it. I would recommend to reboot your machine now. Step 5: Now that your PC and Kindle are communicating with each other we will see if the Android SDK can recognizes the Kindle. Open up a command prompt in windows (Start > All Programs > Accessories > Command Prompt). Step 5c: Once you’re there, type adb kill-server, press Enter, then type adb devices, and press Enter again. You should see your device listed if the Kindle and PC are communicating successfully. 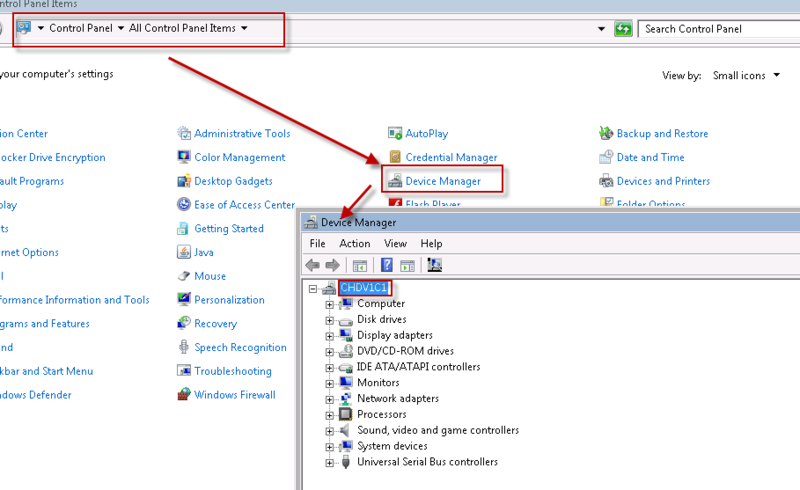 Step 5d: This step is only if your device was not listed during the adb devices command on Step 5c. 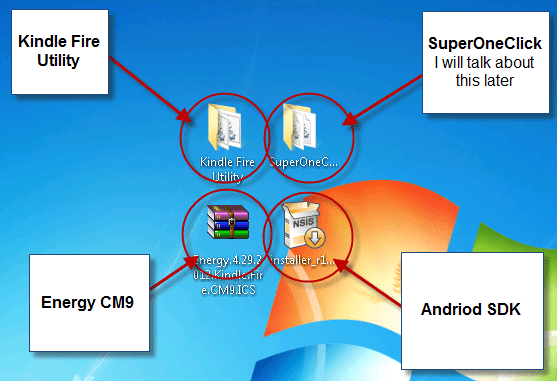 It probably means that Windows isn’t using your Android SDK USB driver to communicate with your Kindle Fire device. Go to Control Panel in Windows > Open Device Manager, and scroll down the list of devices until you find your Kindle listed. Right-click the device and select Update and Browse my computer for driver software. 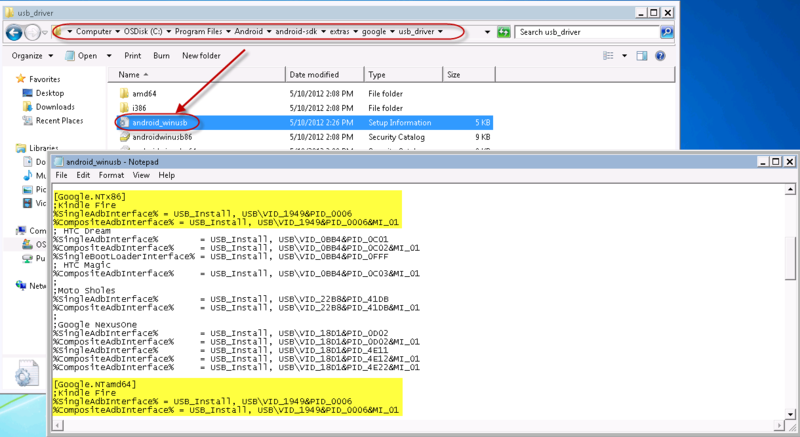 Browse and navigate to the directory that holds the file we edited in Step 3b “android_winusb.inf” [location: C:\Program Files\Android\android-sdk\extras\google\usb_driver]. 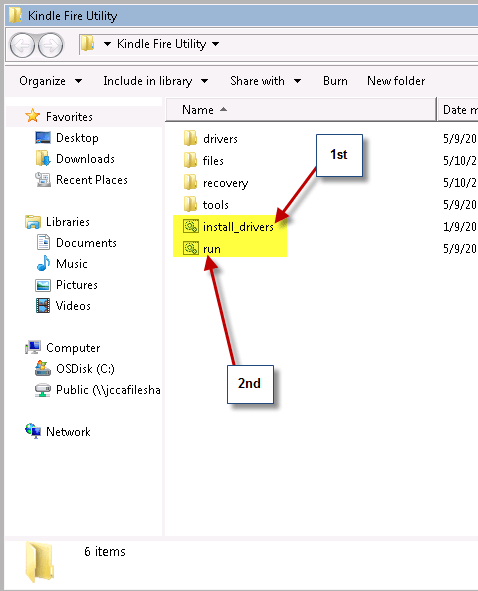 Click Next, Windows should now switch over to the Android SDK USB Driver for your Kindle Fire. Go back to Step 5c and run the adb kill-server and then adb devices command again. Step 6: Research pointed to using SuperOneClick to root the device, but there is a problem with that because it seems that the Kindle Fire team got smart and fixed that problem when they pushed out 6.3.x version to the Kindle devices because it won’t work. That’s when the Kindle Fire Utility comes in. You will pick #2 from the menu and let it do it’s thing. Step 3: You have downloaded the ROM on your desktop, so it’s time to copy and paste it into your internal SD card on your Kindle Fire device. Step 5: Go into the “Wipe” menu, then select “Factory Reset” to wipe the data on the device. Press “Factory Reset” again to confirm (this will not erase the internal SD card files). After the wipe is completed, press “Back” followed by the Home icon on top to go back to main recovery menu. Step 6: Then, select “Install” from the menu. Scroll to and click on the ROM’s zip file, then press the “Flash” button to start the installation of the ROM. Step 8: Then, click “Main Menu”, followed by a “Reboot” and then click on “System” to reboot the tablet and boot into the ROM. 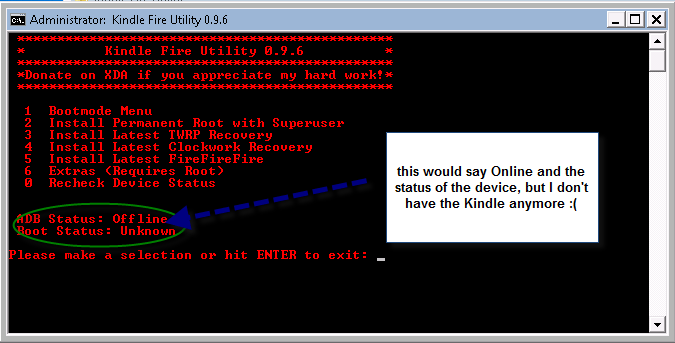 That’s it congratulation you have rooted and installed Energy ICS CM9 ROM on your Kindle Fire – be careful and always backup! Also make sure to visit the development page to get more info and the latest updates on the ROM. If you enjoyed the post. Please take the time to +1 it or comment on the post.